From an in-universe point of view, why is this not the preferred method of surgical intervention? Is it the challenge of altering the pattern? It would be most desirable to have an answer that (a) explains why this approach to surgery cannot be done or — if it can — then why it is not done very often in TNG; and (b) gives examples of when it has been done (if such examples exist). Differentiation: The question Why aren't transporters used for medical purposes? is in a similar vein. However, that question is about restoring back to a previous (healthier) pattern. The present question is about directly altering a single copy of a pattern, without using any data from previous patterns. Medical procedures were explicitly done by transporter a handful of times, although none of them are really surgeries. By the TNG era, transporters had safety features in them. One of those was the biofilter. Every time someone transports, biological contaminants are removed from their stream. Although this is not a standard surgery, where organs are removed/replaced, it is very similar, in that things within the body are removed by the transporter. The only instance that mostly fits the steps mentioned in the question is when Dr. Pulaski was aged in "Unnatural Selection", but it's more gene therapy than surgery. 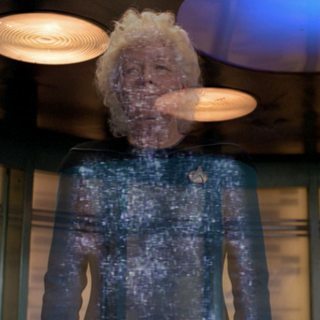 Dr. Pulaski was dematerialized and stored in the transporter's buffers, had her DNA fixed, and rematerialized. Given how Chief O'Brien, a very experienced transporter chief, is grateful that Picard takes over the controls for the event, I'd say that such an operation is rather difficult, and generally isn't considered viable. In the Voyager episode "Phage", Neelix has his lungs stolen from him by Viidians. 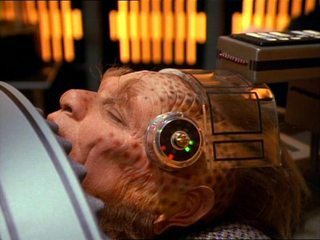 Although the method used to steal his lungs was not mentioned, it can be assumed that the Vidiians teleported them out of Neelix's body, given the speed at which it was done. However, since the method was not mentioned, it's not canon. Also on Voyager, the Doctor replaces Neelix's lungs with holographic ones. However, this required Neelix to be immobilized to prevent the holograms from misaligning, making it not a favorable solution. In the Star Trek: Voyager episode "Deadlock", a baby was delivered by "fetal transport", literally beaming the fetus out of the womb to save its mother from being gored to death by the half-Ktarian baby's cranial ridges. So using the transporter as a magical device to reach inside a living body is certainly possible during the TNG era; Voyager was contemporaneous with TNG. But Trek technology can only really be understood out-of-universe. Technological consistency and indeed consistency in general gives way to the practical realities of writing for episodic television. Episodes were and are typical written out of order and in parallel by several writers. The only way this could be done was for all the writers to have a stable technological milieu and set of characters to work with. At the same time, this was science fiction (or what passed for it in the 1960's), so the shows had to regularly introduce technical wonders. The original Star Trek series introduced so much useful technology that almost all of it had to be immediately destroyed or forgotten by the next episode. This trend continued in the spinoff series. 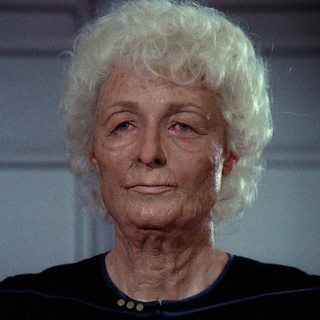 In The Next Generation episode "Unnatural Selection" we saw Dr. Pulaski reverted from advanced age to middle age by using the transporter to basically restore her from backup. Carried to its logical conclusion, this development would mean immortality for anyone who ever used a transporter. This would have drained considerable drama from the series if no one actually ever risked death or even permanent injury. It would also have meant all the future episodes written assuming that crewmen could die would have to be discarded. So this technological breakthrough was conveniently forgotten. The soliton wave introduced in TNG's "New Ground": It didn't quite work out as a viable warp drive, but it would have been a dandy FTL planet busting weapon. Long interstellar wars would be a thing of the past. War is declared. Hiroshima. Nagasaki. The enemy surrenders. Forgotten. The helium-fusion catalyst deployed in TNG's "Half a Life": This didn't work out as a way to revitalize Kaelon II's sun. However, the principles behind the technology could be usefully held in reserve as the basis for a MAD-type counterstrike weapon to be brandished in the face of an implacable enemy. Forgotten, otherwise the war against the Dominion would have gone very differently. (The same goes for the star-busting missile deployed by Soren in Star Trek: Generations, and of course the Genesis torpedo from The Wrath of Khan.) Also, Picard should have been very nervous about this technology given his earlier reaction to another star-buster weapon, the tox uthat, introduced and immediately destroyed in "Captain's Holiday". Rapid experiential learning. The idea was first introduced in TOS's "Spock's Brain" with the Eymorg "teacher" technology. You stand under the crystal helm and become a genius with vastly increased knowledge, but only for a few hours. After Spock's brain was restored, the technology was forgotten. The idea was embodied again in the probe from TNG's "The Inner Light". What an educational tool! A lifetime of knowledge and experience crammed into one twenty-five minute session. And unlike the Eymorg "teacher" technology, the effects last. Alas, the probe technology self-destructed. In Deep Space Nine's "Hard Time", the idea shambled forth again, with O'Brien being made to experience and retain memories of twenty long years incarceration in only a few hours. Apparently no one thought to use this technology to implant useful memories, and so another useful technology was encountered and forgotten. In the Star Trek: Voyager episode "The Voyager Conspiracy" Seven of Nine uses her alcove to download a vast amount of ship's sensor and log information directly into her mind. But this used Borg implants, so no fast learning for unaugmented humans. Uploading into android bodies. Great Mambo Chicken, Batman! Immortality again. First broached in TOS's "I, Mudd" and "What Are Little Girls Made Of?" Alas, forgotten. Rediscovered in TNG's "Schizoid Man". Forgotten again. Uncovered again in TNG's "Inheritance", but that crafty old sod Soong didn't leave notes on how he did it. Finally, in the Deep Space Nine episode "Whispers" Miles O'Brien was replaced with a replicant so detailed that it passed a medical exam as human and had memories so detailed that it did not know that it was an impostor. The impostor was mercilessly killed by episode end and the technology was forgotten. Technology that can cloak a planet, introduced in TNG's "When the Bough Breaks", would have been quite useful in wartime. Also this episode introduced direct mind to machine interfaces. Why send a man into a hazardous environment when he can teleoperate a machine instead, using direct mental control? Forgotten. Interdimensional transport, as introduced in TNG's "The High Ground". Use of the technology shreds DNA over time, so it's not going to replace the transporter. But since it bypasses standard defensive shields, it would be a fine way to deliver a bomb into the heart of enemy ships. It would have revolutionized space warfare. Forgotten. The Fountain of Youth. First introduced in the TOS episode "Mudd's Women", Harry Mudd procured a drug that would rapidly convert women from old to young. Eventually the women figured how to do the conversion by sheer force of will. Forgotten. The idea appeared again in TNG's "Too Short A Season" as both a process and a drug applied together to reverse aging. This time the aliens were reluctant to share their secrets with outsiders, providing them only to a particular admiral out of a sense of indebtedness. And so the fountain of youth was lost again. In the TNG episode "Rascals", Picard, Keiko O'Brien, Guinan and Ro Larren were reverted by transporter to pre-adolescence with their minds and memories intact. Only Guinan seemed to have an inkling what a stupendous change this was, but the development was quickly reversed and forgotten... proving that youth isn't only wasted on the young. So while medical procedures using the transporter make logical sense, they don't make sense if you're trying to write a dramatic series on budget and on time. You're basically replacing one problem with one bigger problem. Surgery is a complex thing, but it's a 400-year-old proven technique that has been extremely enhanced by the available technology. Such technology allows the Federation's medics (and those of other spacefaring cultures) to isolate a problem and perform precision surgery on just that particular part. The risks of killing the person because of something unrelated are extremely low (i.e. the risks of damaging a lung or the brain while doing heart surgery are very low). Compare that with the risks of loading a pattern and messing with it. The complexity of such a thing is several orders of magnitude higher and has a lot more risk. An inappropriate manipulation risks a myriad of unpredictable complications, from brain damage, a guy without legs, or with a shattered central system. Generally speaking, what you want in medicine is to reduce risk and to make sure you only solve and cure disease trying to avoid, whenever possible to mess with non affected areas. In summary, I wouldn't want them to use the transporter to mess with my pattern if there was standard surgery available. This is just logical deduction, as the matter stream is a "stream of sub-atomic particles" according to Memory Alpha, which makes total sense. As far as canon references, there is mention of the confinement beam allowing the transporter to isolate patterns, but there is no reference to any clear structure for EACH such pattern. Given that there's no canon reference (that I can find) indicating the contrary, the logical assumption is that the "stream of sub atomic particles" is just that, a simple stream. In the DS9 episode, The Passenger, Dr Bashir is "possessed" by the villain of the week encoding his synaptic pattern on the good doctor's glial cells. To solve the problem, Dax locks on to the specific cells and beams them into a container. In Voyager, the Vidiians used advanced scanners and transporter technology to steal organs from other species. But their whole culture was based around trying to cure a disease (the "Phage") that infected the whole population. Surviving this plague was the basic purpose and drive of their society and thus had driven their technology to an extreme but particular direction. The Vidiians survived in the short term by making extensive use of transplantation and organ piracy, using transporter technology to literally steal healthy organs from the bodies of their owners. Increasingly desperate, the Vidiians resorted to kidnapping members of other species and experimenting on them. Likely because the transporters are not flawless. For example, if you beam up in certain weather conditions and you end up in the wrong universe. That's kind of a major flaw that should not show up in medical equipment. Furthermore, in the episode that introduced Cassidy Yates, it was shown that certain biomaterials weren't transporter safe, thanks to their internal activity "at least in older models". When Odo came down with a disease when he was judged by his people, he wasn't deemed transporter safe. Then there was the issue where a transporter was used to save Naomi, only to cause her to die. Not to mention every time the transporters failed in some way. I think my personal favorite has to be their biological safety record. If you look at the silly voyager episode with the macroviruses, we saw that the biofilters could malfunction. The biggest issue is that transporter tech isn't perfect, and engineers and transporter technicians are still ironing out issues as of the Next Gen era. It really depends on what exactly the pattern is. If it were a file on a computer it could be manipulated in any way a competent technician saw fit. However we often hear about pattern degradation. A computer file does not degrade, which suggests the pattern, and pattern buffer are rather more exotic. My assumption (and this is not canon) is that the pattern exists in subspace, and that the buffer is a region of subspace curtained off to hold the pattern. The pattern is then not as easy to manipulate as simply shifting bits around on a disk. The other answers give plenty of examples of when it was attempted and failed, so instead what I'll do is try to explain why that is such a common occurrence through a present day analogy. Consider copying files in your computer. It's such a trivial thing even a generic piece of software like Windows Explorer can do it, without caring what's inside them. It can copy movies, Excel spreadsheets, text files, anything. If someone invents a new file type tomorrow (and they probably will), Explorer can still copy it fine. This is transporter technology in a nutshell. However consider trying to add a tree in a video file while copying it. Even with specialized software like Blender or After Effects, that's hours or days of work for professionals, more for someone like me who's never done it. Then consider doing it with a normal copy function, where all you see are raw bytes. Unless you're Neo, you're out of luck. So while theoretically possible, I'll posit that it's way too difficult to change an entire person's data stream for surgical reasons and still have the person be, you know, at least alive at the end. using a transporter. Not just any transporter, but specifically the medical transporter. Memory Alpha describes that its main use was to transport people directly to sickbay, but the page also notes several procedures conducted using it, including the aforementioned 'surgery' in 'Tuvix' and the procedure @Nate Wilson is referring to in VOY 'Deadlock' where Naomi is transported Ensign Wildman's body to save their lives. Does Star Trek: The Next Generation feature technology discovered by Kirk's generation? Why didn't the transporters cure the common cold? Will a transporter fuse two lifeforms together?